Designer Johan Taute shares his tips on decorating small homes. 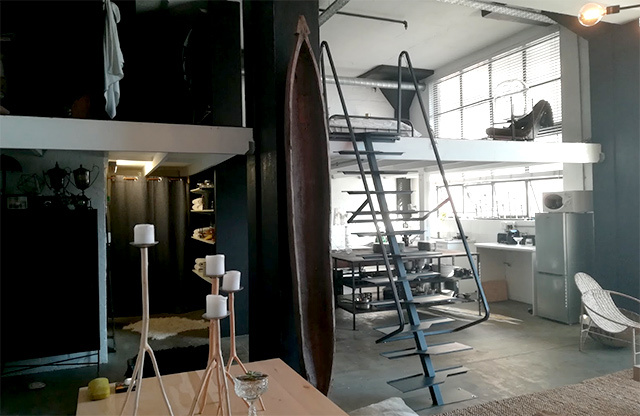 Johan Taute, a designer from Cape Town has a unique approach when it comes to styling the apartments of those who have limited space. He spends most days creating attractive, welcoming and on-trend spaces for weddings, corporate events & parties through his company Scape Events. He draws on a warehouse of distinctive furniture which immediately sets the tone for any room. It’s all about being selective about your anchor pieces, says the designer. 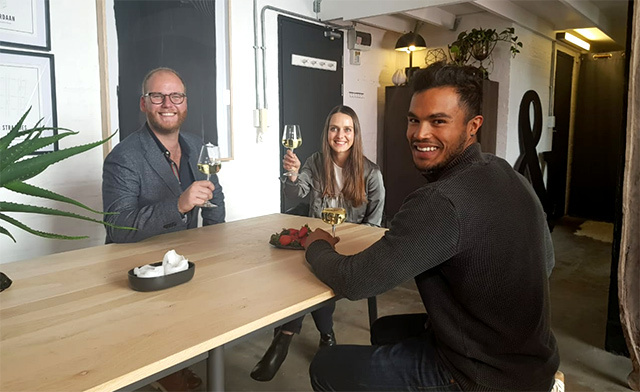 When living the heart of the city, space comes at a premium but Johan approaches this practically. He has chosen to live in a studio apartment in what is mostly an office block at night, thus making for peaceful living conditions. The designer often dines at a restaurant across the road simplifying what he needs from home. 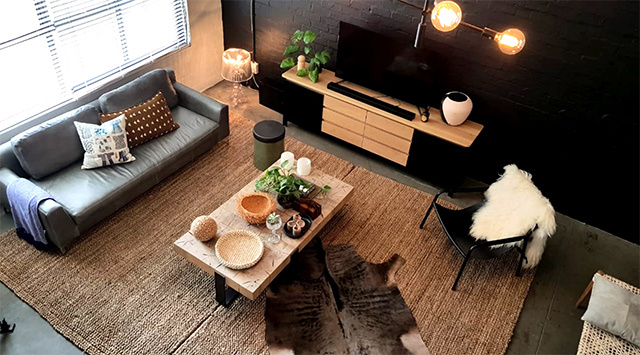 Ryle visits the designers home and is taken on a tour of the practical and stunning apartment. Johan’s home is decorated with dark accents, wooden finishes and a collection of bespoke pieces he has collected on his travels. He tells Ryle that he doesn’t believe in over-cluttering space and instead opts for the minimalistic approach to his interior design. 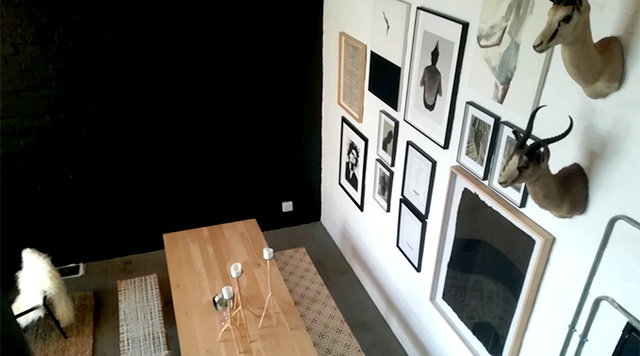 Johan believes that the use of black walls elongates the rooms by taking one’s eye to the ceiling. 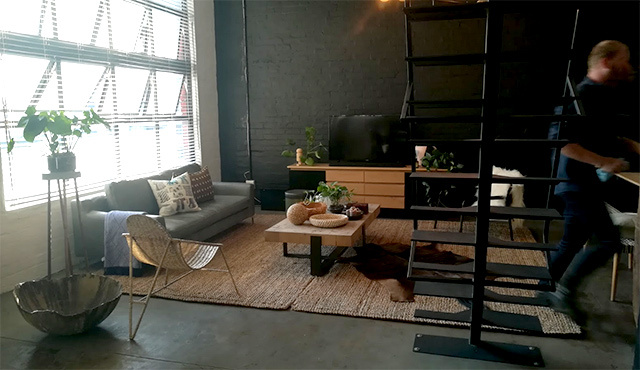 Another feature that stands out for Ryle is the staircase and Johan tells him that the ladder of it frees up a lot of room forming a sculptural element and acts as a room divider. Other tips that Johan lives by are the use of large, artistic lighting fixtures in place of lamps. 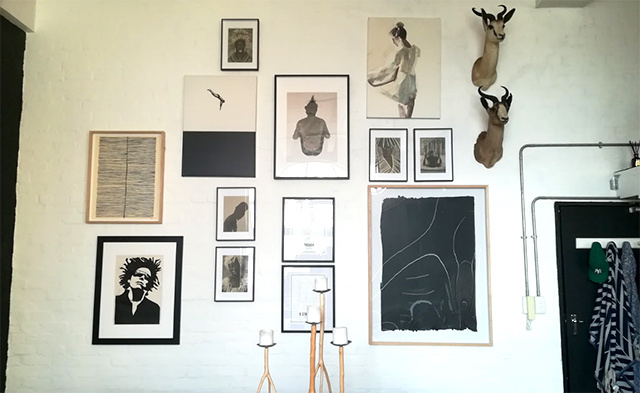 Balancing the dark feature wall with natural décor where texture and grain catch the eye – and grouping your art on a wall. Experimentation and embracing change is the name of the game.